When I first got my Australian Labradoodle puppy, I tried telling people it was a “labrador-poodle mix.” A mutt, basically. I wanted canine street cred. I was a dog-loving humanitarian, for crying out loud, not some Paris Hilton wannabe with a ball of fluff shoved in a Coach carrying case. But eventually I surrendered, and I can now admit that I am one of the many Americans who owns a Designer Dog. And I love him. To death. His name is Uncle Jesse. Uncle Jesse is the 11-month-old love child of my allergy-ridden husband and me, and every spare smile and giggle is given to him. He doesn’t shed a single hair, but instead showers us with licks and sassy sidelong glances. It took many months to potty train him and he still responds with snooty indifference when we set down a bowl of organic lamb and rice kibble. He prefers raw beef and expensive, top of the line yogurt. Chunky peanut butter and chicken marinated in fresh ginger seem acceptable, too. To add to the atrocity of this ultimate guilty pleasure, I’ve found that I like putting him in t-shirts. A lot. And I’ve convinced myself that he likes it, too. Aside from your pedestrian basics, his first trick was “Watch the hair, huh!” (An homage to his namesake.) He mastered this before he turned 10 weeks old. The downside to an intelligent dog is that you really have to make it worth their while. “This filet is a bit overdone, sir.” Having said this, he’s a complete and total wimp and the only time he’s truly happy is when his family is together. That or he’s got his head stuck out of the car window. Uncle Jesse is the cat’s meow and if you think you can convince me otherwise, you’re barking up the wrong tree. Uncle Jesse is awesome. Also, from his diet, he sounds far genetically superior to my dogs who have serious distress when they eat anything besides their vet-sanctioned dog food. That doesn’t stop them from trying though. We have puggles. Yeah. Ha! Thanks (and thanks for reading)!! If it makes you feel any better, he usually eats his organic raw beef so fast that he throws it up. We’re not sure we can afford this dog anymore, but we need something to keep our parents from asking when we’re going to have kids. Hi there, I’ve seen you leave hilarious comments for the Byronic Man (my absolute favorite, too)and now you’re interviewed. Congratulations. 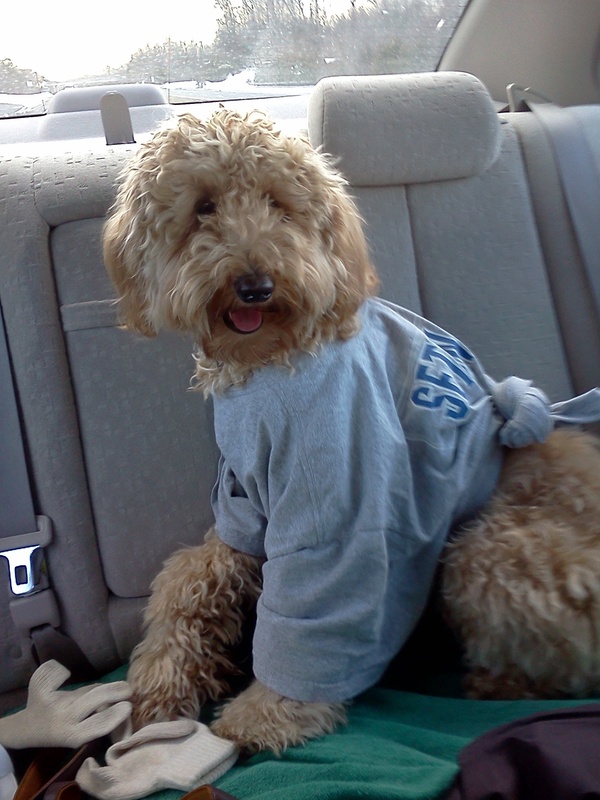 We have a Labradoodle, too, so I had to check this post out. Our Koda is six, highly untrained(except potty) and also only completely happy if her whole pack is complete. And she hates, hates, HATES being home alone as it gets dark, which we can tell by her completely ridiculous elation when we come home in the evening. Anyway, Ive been thinking of following you, and now I will. Thank you so much! Do you have any pictures of Koda online? Yes, I have a post about Koda and Freddie at http://aresidentalien.wordpress.com/2012/11/05/not-a-good-groundhog-day. You’re an amazing dog mom! And so totally in love. I know that besotted puppy-speak voice intimately! basic things, The site style is perfect, the articles is truly excellent : D.
1959. His father abandoned your family when Patrick was just a year old, including 1962, after Algeria won its independence, his new mother moved to France, deciding in the Paris suburb associated with Argenteuil. of like a singer after seeing Michel Sardou perform in 1975.
new man using a French-Algerian (or “pied-noir” in German slang) accent for his video Le Coup een Sirocco. Benguigui (as having been still called) responded and acquired the business. The year, he spent a little while in Ny, where he achieved Gérard Presgurvic, later to become his primary composer.